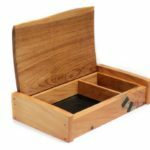 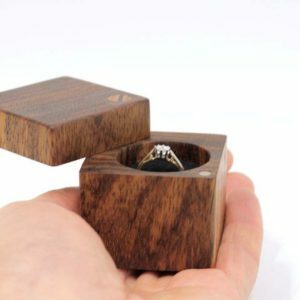 Ebony ring box - a beautiful, unique, handmade presentation box. 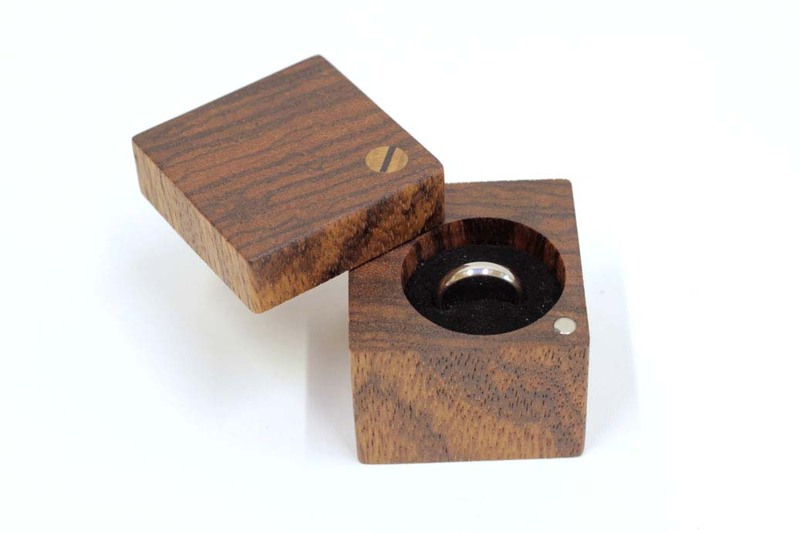 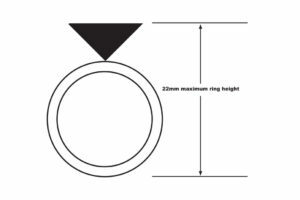 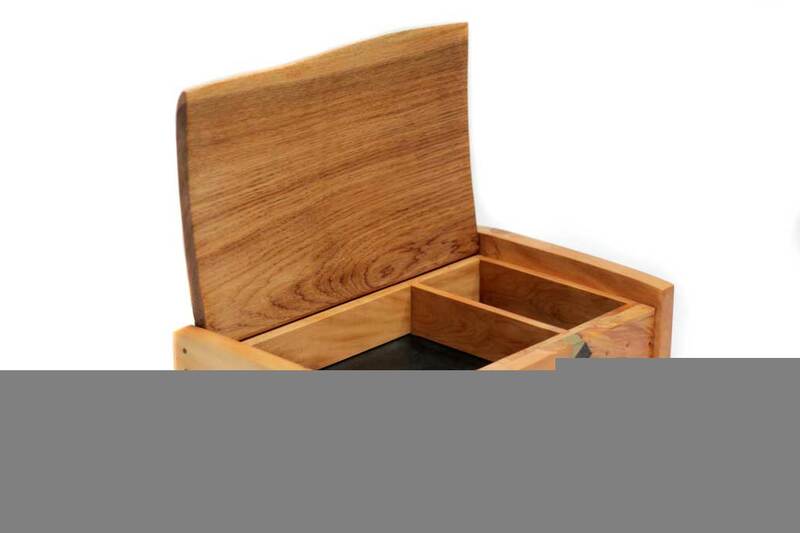 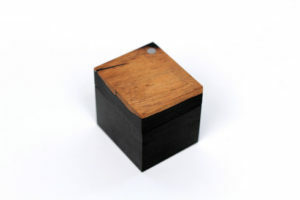 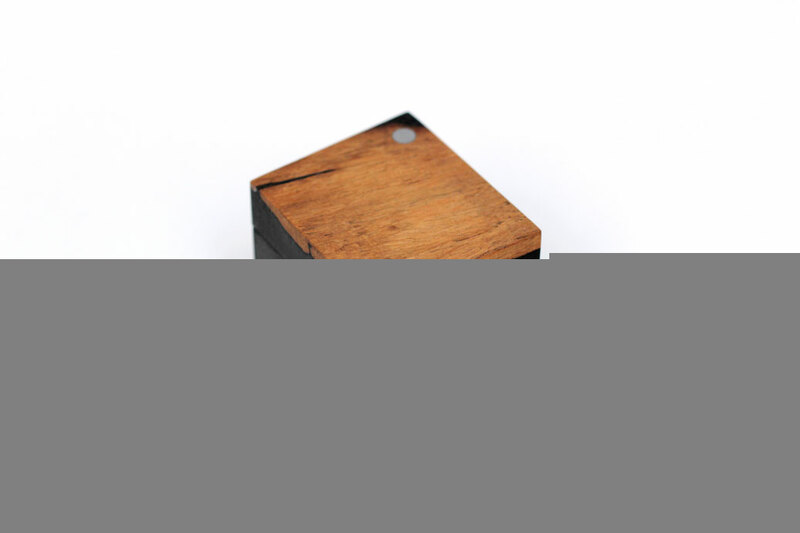 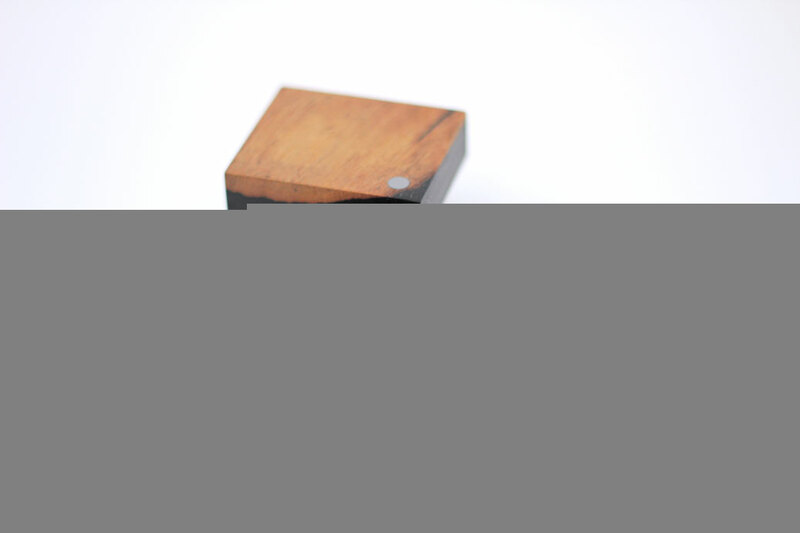 Ebony ring box with twist lid – further details below. 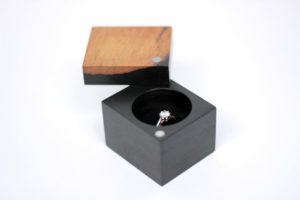 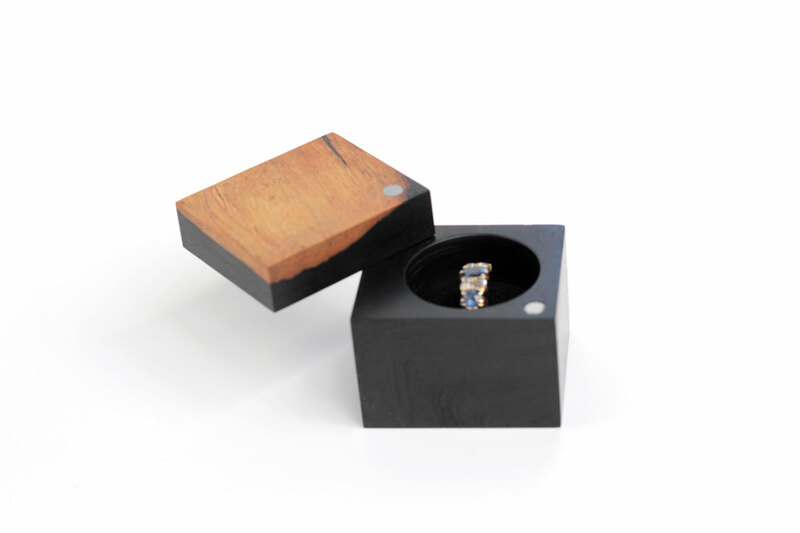 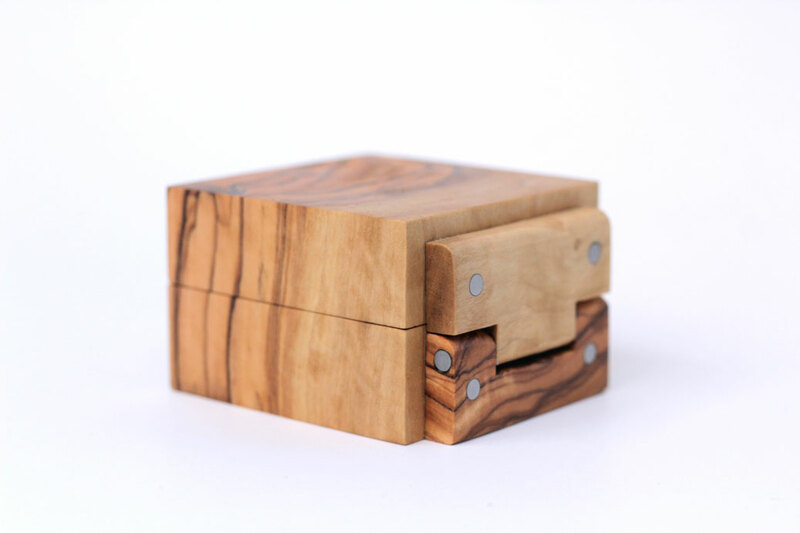 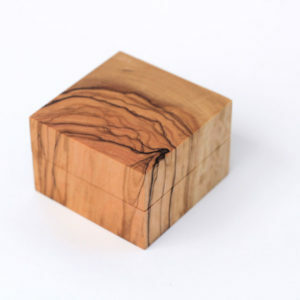 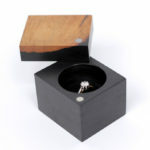 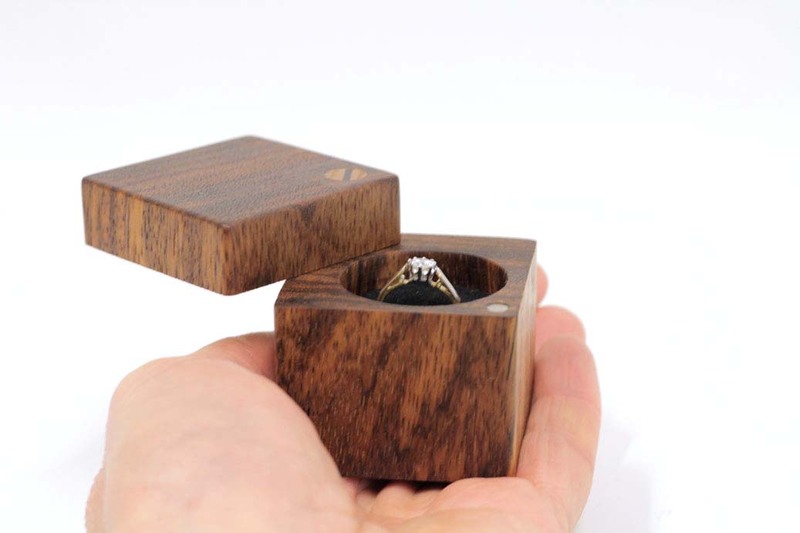 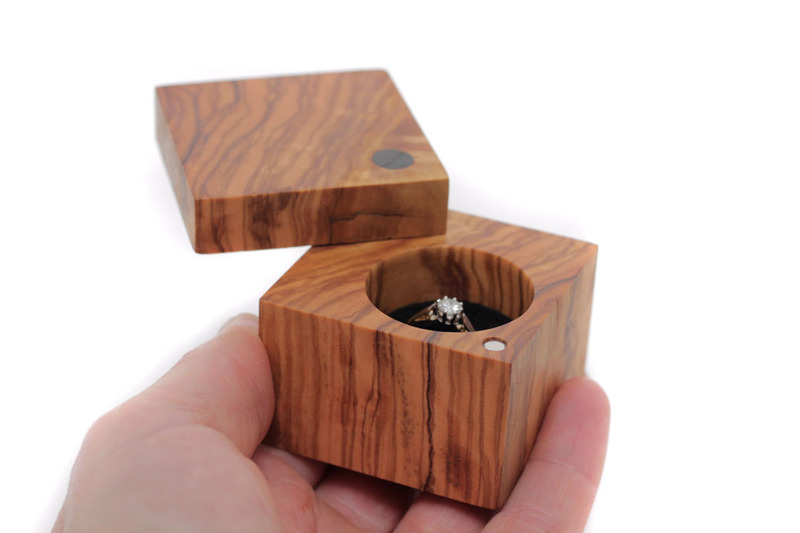 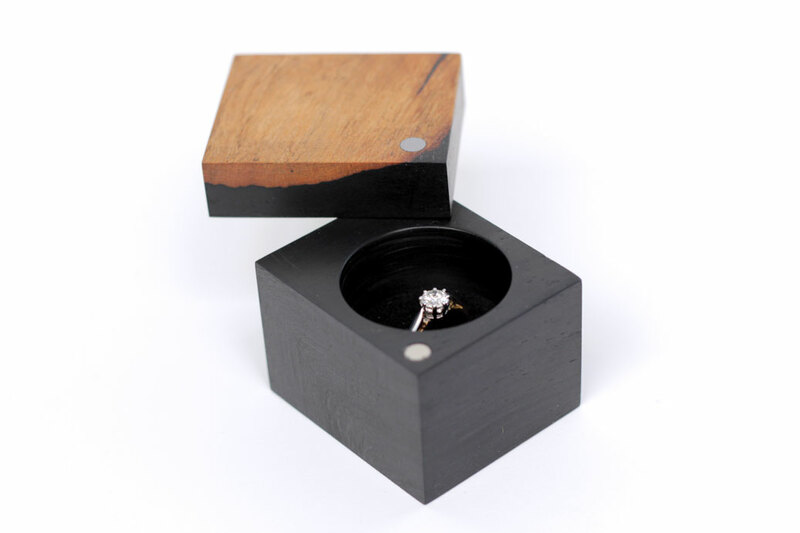 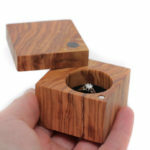 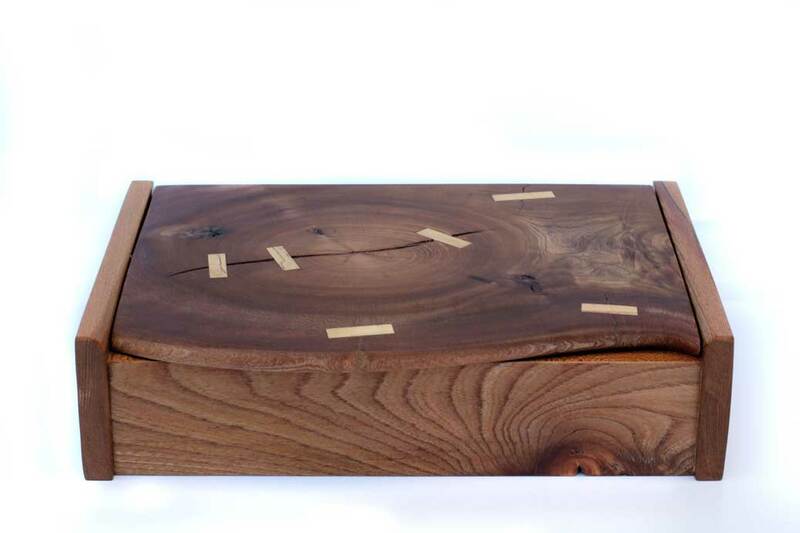 A beautiful, unique, handmade presentation box to cherish and hold your special ring. 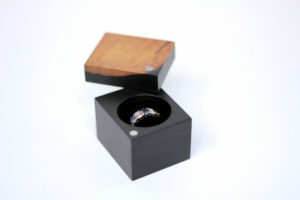 This particular box is now sold. 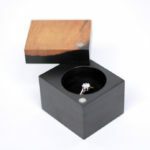 However please contact me for similar items that may not yet have been listed. 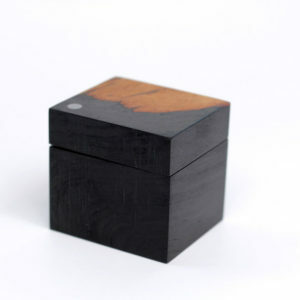 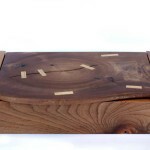 Or you may wish to commission your own unique box. 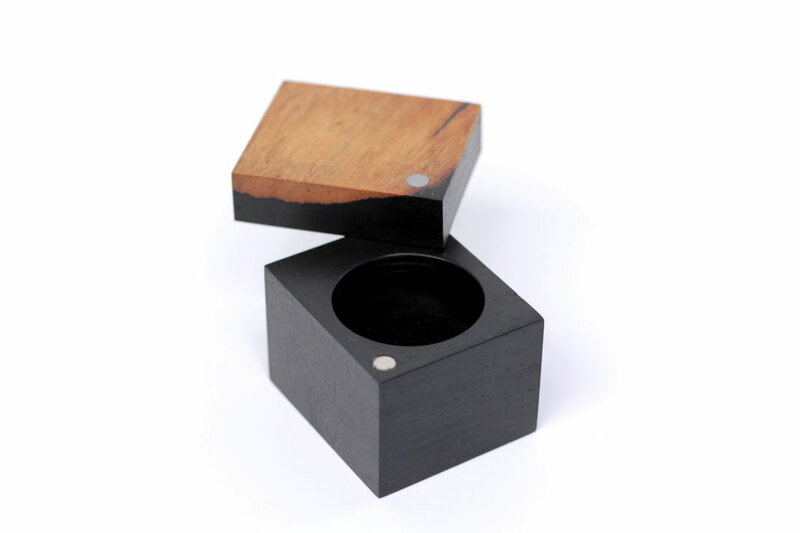 Ebony ring box with twist lid, clicks closed with a rare earth magnet. 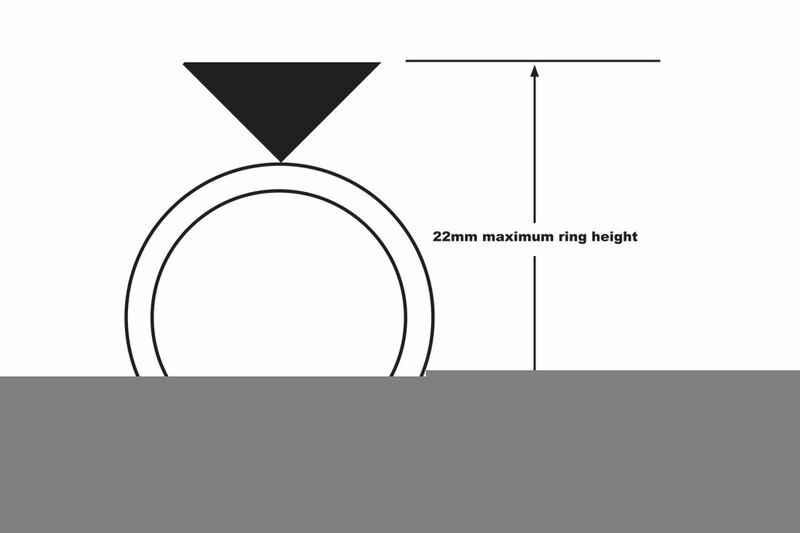 Black velvet lined cushion interior. 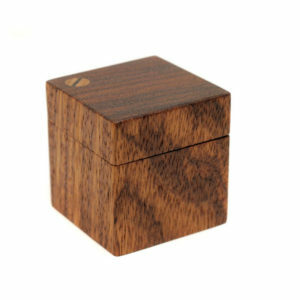 So named because historically most of the wood was exported from the nation of Gabon, though today it’s much more likely to be sourced from Cameroon. 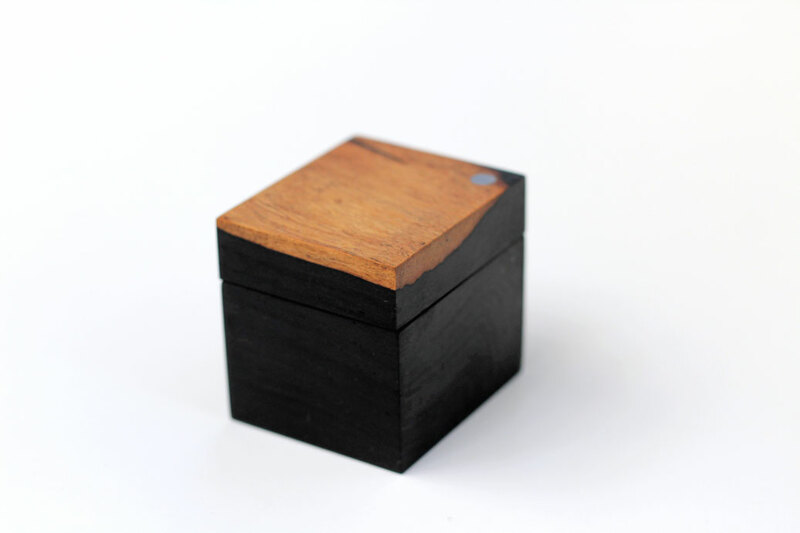 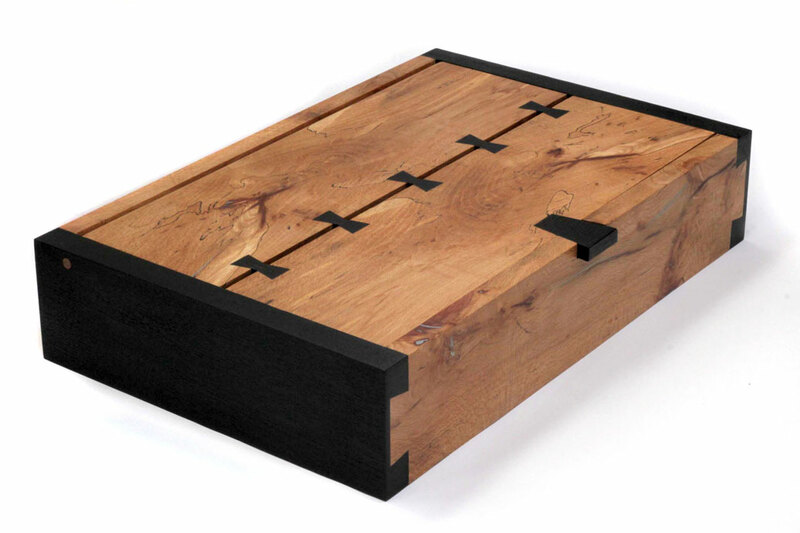 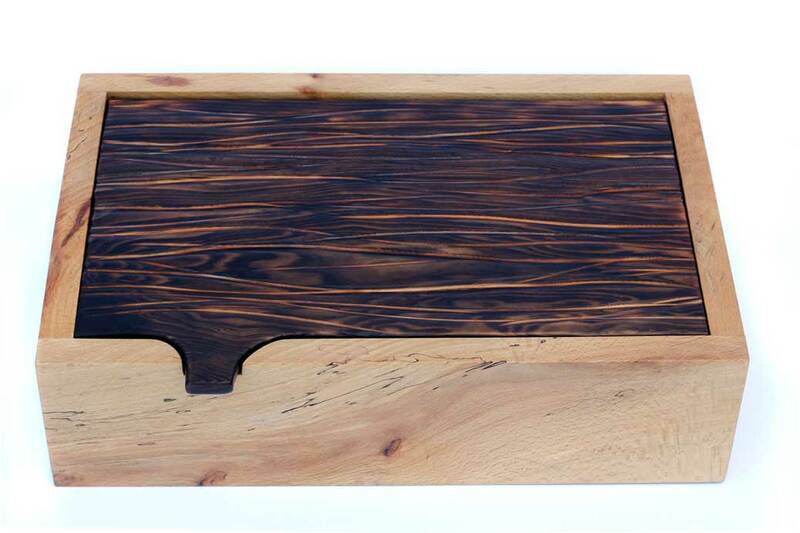 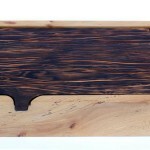 Heartwood is usually jet-black, with little to no variation or visible grain. 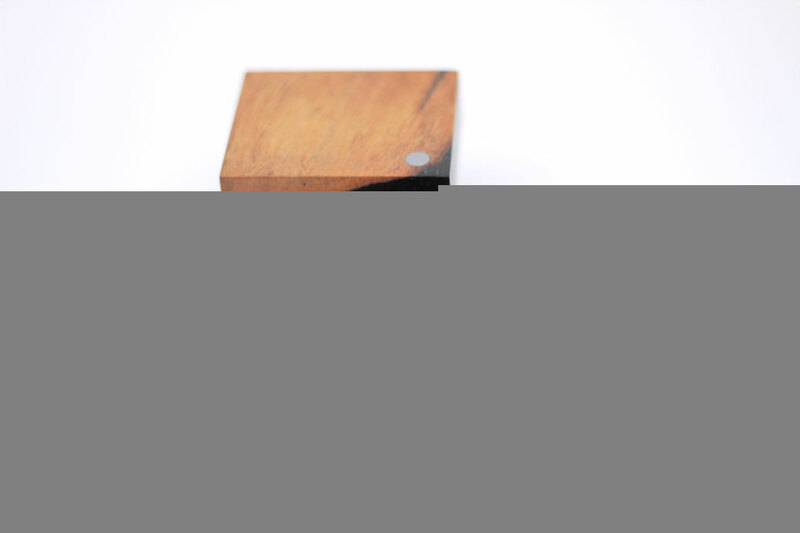 Occasionally dark brown or grayish-brown streaks may be present. 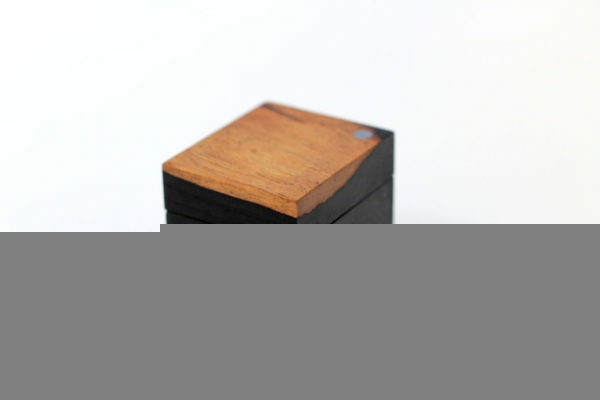 Grain is usually straight but can also be interlocked. 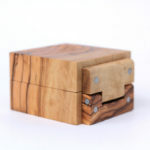 Fine even texture with very high natural luster.